Susan Beth Leeds, a 66-year-old white woman, died Thursday, May 3, after being stabbed in the parking structure of the Promenade on the Peninsula shopping center, 550 Deep Valley Drive, in Rolling Hills Estates, according to Los Angeles County coroner’s records. 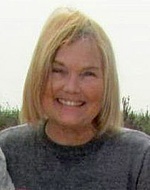 Leeds, a retired nurse who lived in nearby Rancho Palos Verdes, was found inside her car at 12:22 p.m. with multiple stab wounds, according to Los Angeles County sheriff’s news reports. She was pronounced dead at the scene at 12:36 p.m., according to coroner’s records. A spokeswoman for the Los Angeles County Fire Department said Leeds’ throat also had been slashed. Leeds’ white Mercedes-Benz SUV was parked on the first floor, near the main entrance, and investigators think the attacker’s car was parked nearby. Posted Dec. 8, 2009, 9:32 a.m.
Jeffrey Tidus, a 53-year-old white man, was shot and killed Tuesday, Dec. 8, in the 4600 block of Sugarhill Drive in Rolling Hills Estates, authorities said. Coroner's officials said police have placed a security hold on the case, which bars them from giving out any additional information. Detectives investigating the shooting death of Jeffrey Tidus, a prominent L.A. lawyer, are examining a 2005 case in which the attorney obtained a restraining order against a litigant who allegedly had threatened him, according to sheriff's deputies. The case is one of several being looked at as detectives pore over Tidus' files seeking clues, Los Angeles County Sheriff's Lt. Dave Dolson said. Jamul Alexander Thomas, a 24-year-old black male, died Sunday, Sept. 29, after being shot in Rolling Hills Estates, according to Los Angeles County coroner's records.